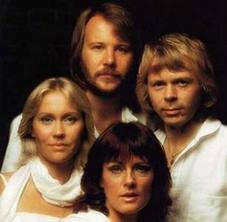 The wonderful Tom Murphy at A View from the Cave compiles his ABBA's once again. ABBA stands for Aid Blogger's Best Award and is compiled on the basis of reader votes. The prolific, insightful and funny Chris Blattman swept the awards. Development Horizons snuck in at 5th best Academic Blog. The Guardian's Global Development website was rated number one for news. Full results here. The best bit about the ABBAs (apart from the 1970s videos) is the commentary. Tom himself describes the ABBAs as a "rather silly contest..not to be taken seriously" but the votes do raise some interesting issues. why are so many of the ABBA bloggers male? why are so many from the US and Europe? "Does every development or aid blog worth mentioning have to be authored by some rich (more than likely) white (probably) middle class (very likely) academic (probably) bloke (usually), who love to share their "insights" with people who are exactly like them? Call me a cynic but...same old same old"
P.S. There is a very nice on-line presentation from Jason Sayler at the University of East Anglia in the UK on do's and don't on development research blogs. With the increased rumblings and grumbling about why international development remains a worthwhile investment at 0.54% of Gross National Income (see the Financial Times on India, see Andrew Gilligan on the new International Citizen Service and see John Redwood MP in Prospect) those who care about international development should welcome all the political support it can get, regardless of their Party political preferences. In September 2010 and 2011 I wrote a couple of blogs after the respective Labour Party conferences. The first asked, with Blair and Brown gone, who will be the development champion for Labour? The second reported on the increased level of activity on development within the Party but pined for a single focal point. A couple of weeks ago I met Ivan Lewis, the new Shadow Secretary of State for International Development. It was an encouraging meeting in that he seems to be putting a lot of energy and commitment into the role and is providing the kind of focal point needed for an effective Opposition Party on development (keep a watch out for the very informative newsletter from the Shadow team). Holding the government to account on its commitments (have we all given up on 0.7% in this parliament? ), coming up with alternative policy positions on key issues, and developing new ideas unencumbered by the immediate worry of how to actually implement them: these are all vital functions of Opposition. The Secretary of State Andrew Mitchell invested a lot of time and energy in the Shadow Secretary position before May 2010 and it served him--and DFID--well post May 2010. It is good to see Labour now have a dedicated Shadow position for International Development. Clearly they care about international development. The next step is to get the Party Leader, Ed Miliband, talking about it. This week, the Guardian newspaper and BBC Radio ran headline stories on Save the Children's excellent report "A Life Free from Hunger" (pdf) which is about tackling child malnutrition. Also this week, an excellent article in The Hindu by Harsh Mander "Barefoot, the Other Side of Life" documenting two Indian men, who lived and studies overseas, on their return to India and attempt to live on 100 Rupees a day -- average income (minus accommodation) and on 32 Rupees a day, the official urban poverty line. The Save report presents all the facts about nutrition: levels, causes, consequences, interventions and policies, resources needed, and political commitment needed. It is exemplary in its combination of accuracy, readability and action orientation. It does a really good job of connecting to the minds of people who read blogs like this but who do not know much about malnutrition. The article by Mander, an activist for social justice and a Special Commissioner to the Supreme Court of India, does a good job of connecting to the hearts of readers who are not poor what it is like to be poor: thinking about food all day long, only being able to travel distances that you can walk, deciding about whether to spend money on soap or food (but not both) and the terror of falling to even a minor illness. The Save report had authentic vignettes from mothers about the challenges they faced in helping their babies avoid the ravages of malnutrition, but unless you see it for yourself, these accounts do not really hit home. For people who do not directly experience these conditions, the Hindu piece potentially had more of an impact because you can imagine yourself in that "walk in my shoes" situation, whereas it is very difficult to imagine what it must be like to be a mother in, say, Niger battling disease, high food prices, dirty water and unsanitary conditions while bringing up babies and other children. One of the things the UK media picked up was the Save report's call for the G8 in 2013 in the UK to be focused on food and nutrition. But there will be pressure on the UK to scale back the G8 summit. The 2010 Canadian one--David Cameron's first--was reported to have cost £650 million pounds (or about 6% of what it would cost to scale up direct nutrition interventions globally). So if you are going to spend that much money on a summit, it is very good if the summit is focused on food and nutrition (there are so many other international fora to talk money and economics). Some would say a better idea would be to scrap the 2013 G8 summit and spend the extra £650 million on nutrition programmes. Even better still locate the 2013 G8 in a place where over 50% of children are stunted. Give the political leaders a 24 hour taste of life in a poor village. Each of the 8 leaders could go to a different village and compare notes and experiences afterwards on what they have seen about how to keep babies free from malnutrition. The UK would still set the agenda and lead the talks, but in partnership with the host country. Would a G8 meeting in a very non G8 setting be a security nightmare? Probably. An empty gesture? It depends how it is done. Would it get people talking about food and nutrition? Possibly. Would the political leaders be more fired up about doing something about how the other half lives? Likely. Would it be a better way to spend £650 million? Definitely. A new book edited by Stephany Griffiths-Jones, Jose Antonio Ocampo and Joseph Stiglitz "Time for an Invisible Hand: Lessons from the 2008 World Financial Crisis" takes on the policy implications of what to do. Fix flawed incentives for bankers and fund managers--put all bonuses into an escrow account that can only be cashed out after a period equivalent to a "an average full cycle of economic activity"
Asia may have learned the worng lessons from the Asian Financial Crisis of 1997-98--it improved domestic regulation and transparency and accumulated large reserves, but countries in the region did not put in place counter cyclical measures to cope with the vicissitudes of the global markets, within which they have subsequently become much more integrated. the Special Drawing Rights system that the IMF put in place in the 1960s and which the G20 has refuelled in recent years need to be come more development orientated--they are still allocated according to IMF shareholdings (and so go largely to the rich countries) and there are no rules governing trading which is entirely voluntary. I'm not an expert in this area, but the pace of reform in this area (3.5 years on) seems very very slow (do we really have to wait 65 years for the super sovereign reserve currency idea from Keynes to gain traction?). One of the chapters co-authored by Stiglitz delves a little into the political economy of reform, and shows how some global greenback currency would impact on domestic policy freedoms, especially in the US. A good book--for me it reinforces the need to look harder at the political economy of financial market reform. The technical issues are not insurmountable, but the political ones seem to be. Yesterday the Future Agricultures Consortium, which IDS co-chairs with ODI and which is supported by DFID, held a meeting on Food Price Volatility. The core questions revolved around the state of knowledge around: (a) is FPV going up or down? (b) if going up, is it a problem and for who? (c) what, if anything, should be done? and (d) what more do we need to know? We were joined by colleagues from several organisations including the UK's Treasury, Oxfam, UNCTAD, IFPRI, WDM and SOAS. The meeting helpfully unpacked a lot of the questions. Food price spikes -- are we talking about food price levels or volatility? They tend to go hand in hand, but they have two different effects. Which components of volatility do we care most about? Predictable or unpredictable components? The latter. Is FPV going up or down? We had papers that said it had never been higher, and some that said it was lower than in the 1970s. Not much consensus there. I suspect the answer depends on the commodity and time period (e.g. for coffee, not much price volatility, for wheat, a lot). Also, the periodicity of the price volatility matters a great deal. Does FPV matter? At the macro level if the effects are big enough it could lead to a tightening of interest rates. At the micro level consumers are affected--they may be able to offset by switching consumption into foods that have not seen such big price rises, but these are not without costs (whether nutritional or taste) and the adjustments tend to fall more on women (based on work from elsewhere). On the producer side, farmer decisions in one year tend to be highly affected by decisions the previous year (adaptive expectations) and so they can easily over or underinvest in inputs with disastrous consequences. For farmers, FPV muffles the underlying market signals and this is not good. Who does FPV benefit? No-one really with the exception of Commodity Exchanges whose revenues are based on volume. What are the drivers of FPV? Two classes were identified: fundamental and amplifiers. On the fundamental side we have things like price inelastic demand (a result of economic growth--wealthier consumers are not price sensitive to the foods they like) and on the supply side we have climate uncertainties. But we also have policy choices that for example cast a blind eye to the concentration of exporting surplus in the hands of a few countries and which allow physical food stocks to dwindle. On the amplifier side we have hedgers and speculators. Hedging can be against natural phenomena or market phenomena as can speculation. There was no consensus as to whether hedgers or speculators played any role in amplification. Certainly the speculators in the market provide a direct connection to the need for more hedging and the potential for ramping up of fundamental volatility. But the group also noted the potential of these speculators to be scapegoats when prices are high. What to do? Lots of options were discussed. There are cause specific solutions--if you think the FPV is being driven by market speculators then limit their positions. There were also general solutions (wherever the FPV comes from) such as reducing information asymmetries through greater transparency, building up stocks--physical or virtual, taxing the rate of volatility, developing risk management products, diversifying production to minimise the impact of local weather shocks. Others suggested region and commodity specific strategies (e.g. agreements in Asia about rice). We did not talk enough about the capacity to formulate, implement and enforce these policies nor the political economy of them. What additional evidence do we need? Many of the discussants said that the choices above were empirical questions. I felt that everyone had their own favourite evidence base that backed up their assertions but that there was no consensus evidence base--so this would be a priority for me. Other areas of interest to me--experimental economic approaches to appetite for volatility (perhaps we are overestimating the negative impacts? ), research on how depleted women become if they act as shock absorbers for the rest of their family in the face of shocks, the impacts of biofuel mandates on FPV, and the contribution to FPV of large scale land and water acquisition deals. All in all, I felt that once you begin to unpack the issues, there is no easy quick fix (no surprise), there is a clear need for more evidence in this area and there is a need for a consensus set of evidence. For more information see www.future-agricultures.org (where you will be able to find the power points) and contact my IDS colleagues Stephen Spratt and Jim Sumberg. Last night Michael Lipton gave a talk entitled "The State and the big push towards modern industry: 'new' economics, defunct economists, and farmers". Michael is one of the world's leading thinkers on development. And the list goes on. These are all topics of much discussion today. 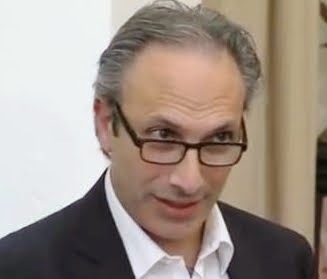 But this is not surprising as Michael is one of those rare academics who is widely respected in the academic world, but also in the policy world. It is for this cumulative body of work at the intersection of policy, practice and academia that he was recently awarded the Leontif Prize by Tufts University. His Sussex Development Lecture built on and critiqued the interesting work of Justin Lin, Chief Economist at the World Bank. In a couple of papers from 2010 Lin argues that we need a New Structuralism to understand growth. Old Structuralism emphasised state activity to move economies from agriculture to industry and services, essentially ignoring comparative advantage (how one evolves and uses natural endowments of a country) while the New Structuralism sees the state more as a facilitator than an orchestrator when it comes to moving from agriculture to other types of production, but always guided by comparative advantage. In the Lecture (and in a related paper) Michael concluded that Lin's work is a good start, but it is only a start. For example he notes that Lin's paper is very much couched around growth, not poverty reduction. Michael argues that the New Structuralist approaches make it imperative that the State is more active in guiding this comparative advantage-led growth towards poverty and inequality reduction. Michael also makes the argument that the New Structuralist perspective supports (and can be driven by) science-led smallholder-agriculture led growth. As usual, Michael made me think hard about something that it would be much easier not to have to think about at all. He has been doing that for most of us for a long time and I am very thankful to him for that.